Welcome to another month of the Thrift Store Challenge!! You may remember from other editions that I teamed up with more than 30 bloggers to provide some inspiration with our thrift store finds that we turned into home decor pieces. 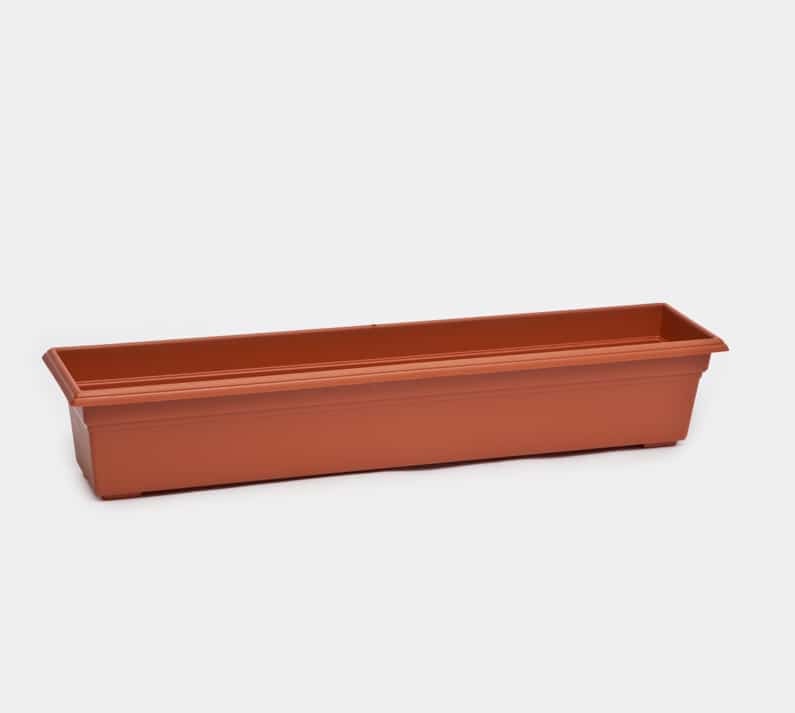 I had bought lots of plastic flower planter boxes many years ago at a local flea market which I used for flowers in my garden. When we moved to the new house we had no garden and there was no room to use them all, so they were all piled up collecting dust. They are perfect for that spot, the right size and safe enough to get in and out the patio door. 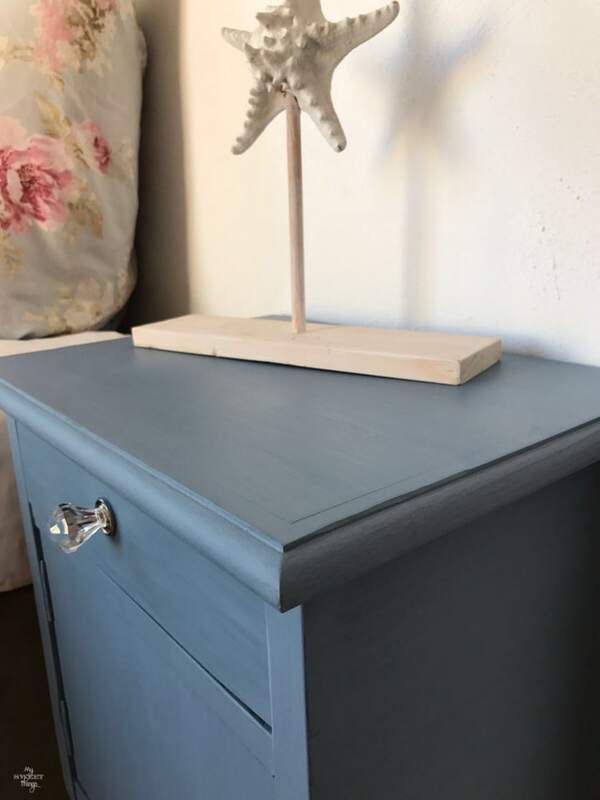 She painted her own bedside table. Yes, you are reading it right, she did it. 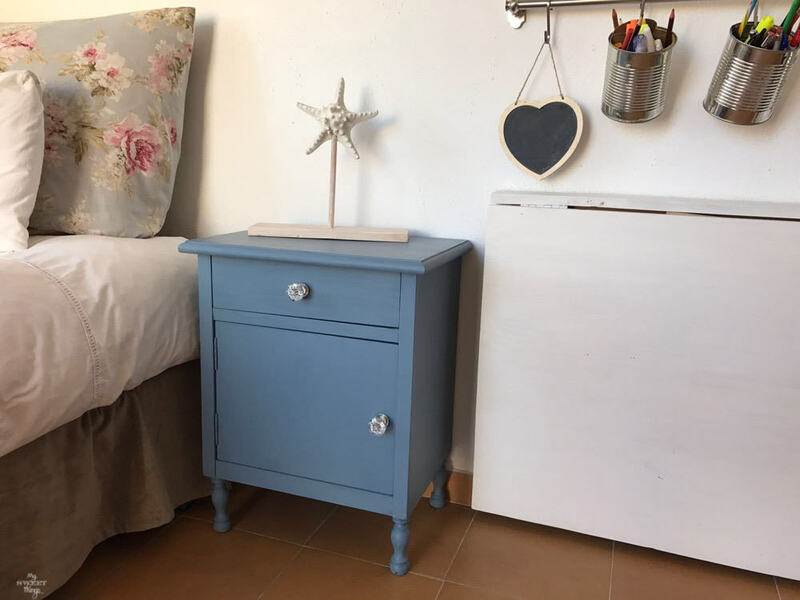 You can read how an old bedside table got a makeover here. She did a great job with it, love how it looks. 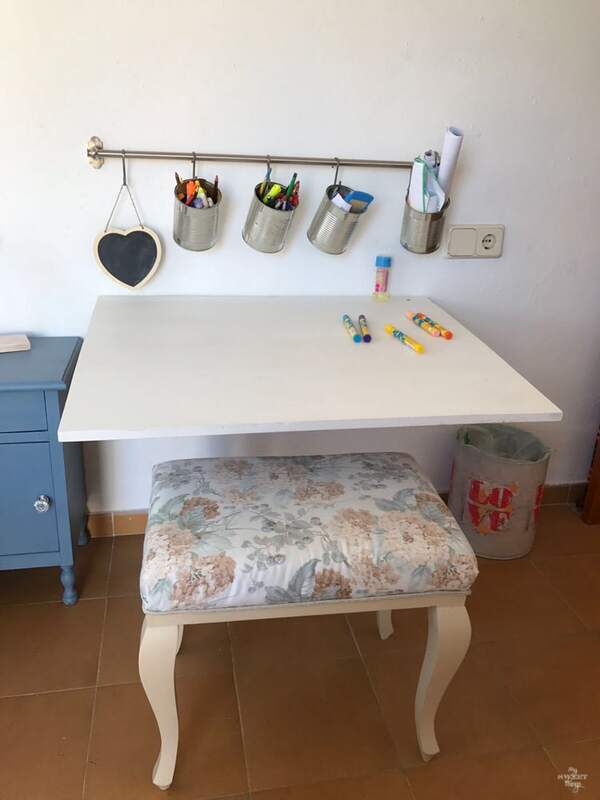 Do you remember I told you she loves to draw and paint and that she needed a table? I end up building a folding one. She opens it when she wants to use it, and we used some empty cans to hold her pencils, pens and random stuff. The little bench was a free find that I upholstered, and the bin was an empty coffee tin, tutorial coming soon for both, pinky promise. This is how the room looks, simple but cozy at the same time. Do they seem flower box planters at a first glance? I hope you enjoyed this thrifty makeover as much as I did!! This is a great idea! I don’t think they look like planters at all anymore and she can easily grab her stuffed animals now whenever she wants. I also love that folding desk! 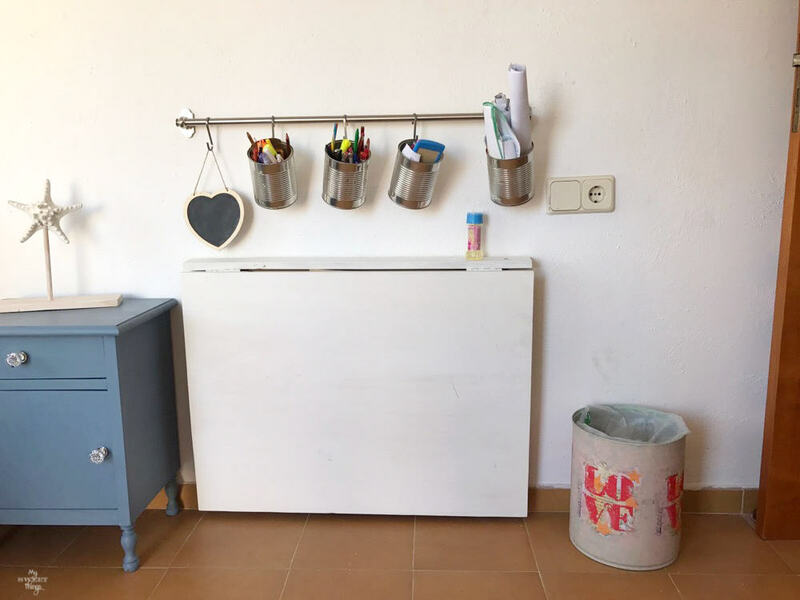 Space saving genius! Certainly have to agree Pili, planter boxes for toy shelves is great idea. Painting them made so much difference. If your daughter should bump her head won’t hurt. That portable table is genius also, way to go Mom. 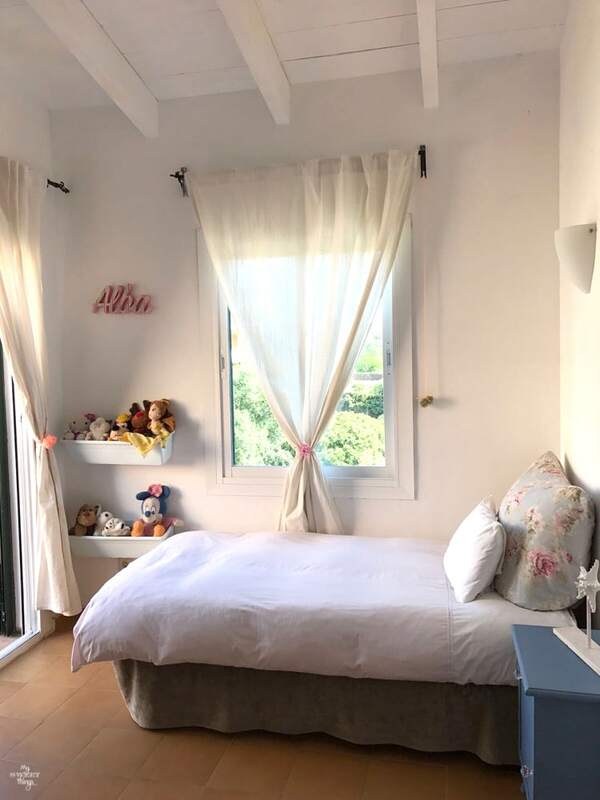 I think her room is really cute and cozy., perfect for one girl. 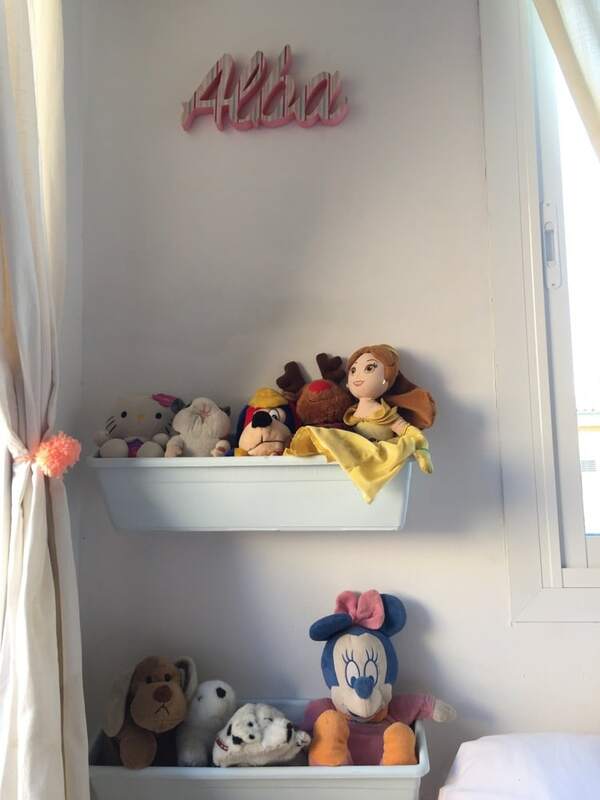 Pili your daughters room is so much fun and I love how you painted that beautiful ceiling! The planter boxes are a great idea and I love her creative space too! Great job! That’s really creative Pili. 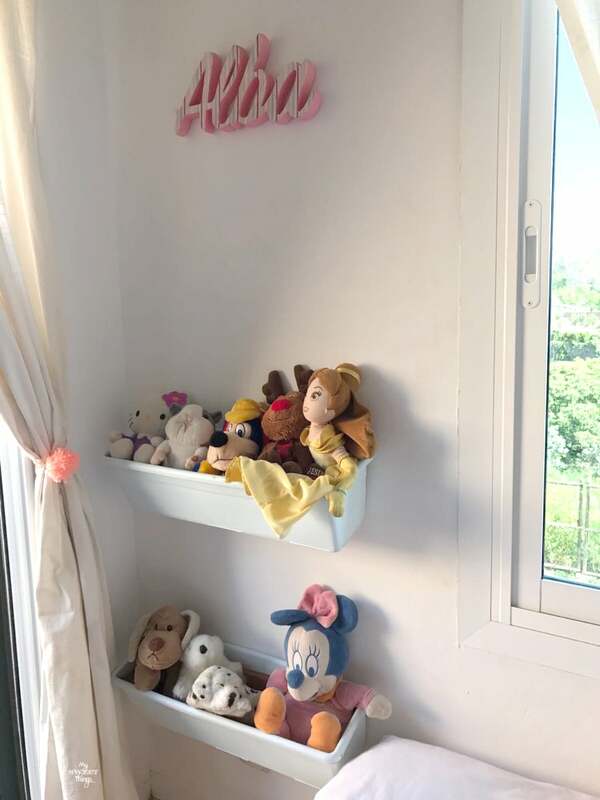 Those planters are perfect for storing all her teddies. Great use of space. 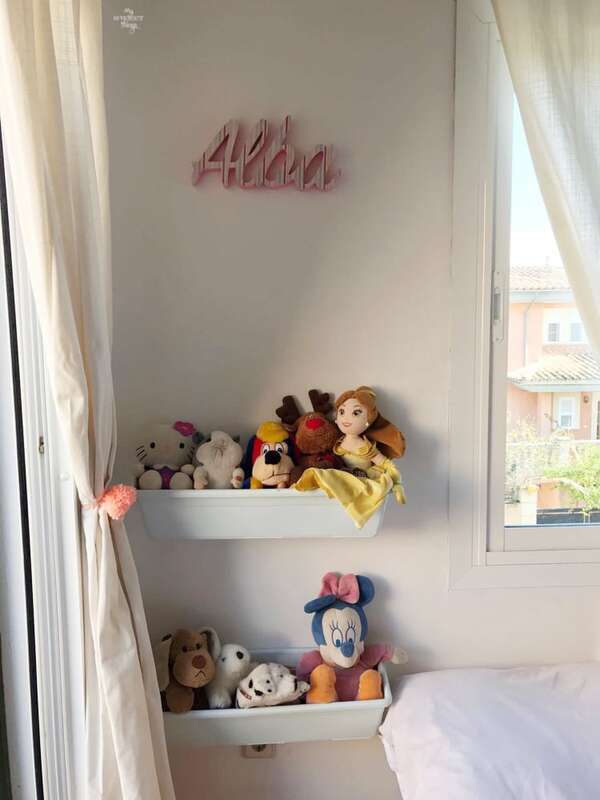 Alba’s bedroom looks lovely. I bet she’s really happy with how it turned out and having her own private space. What a sweet little room this became! I think the planters are just perfect for stuffed animal storage, very clever! What a great idea—that might work perfectly for my sunnies collection! 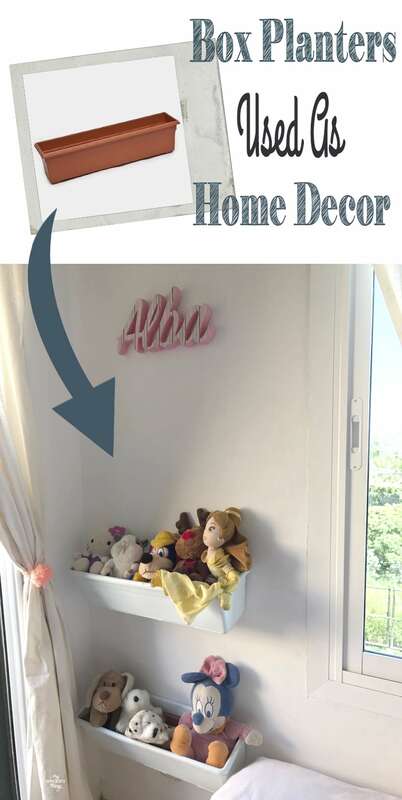 This is a great idea and not just for teddy bears. 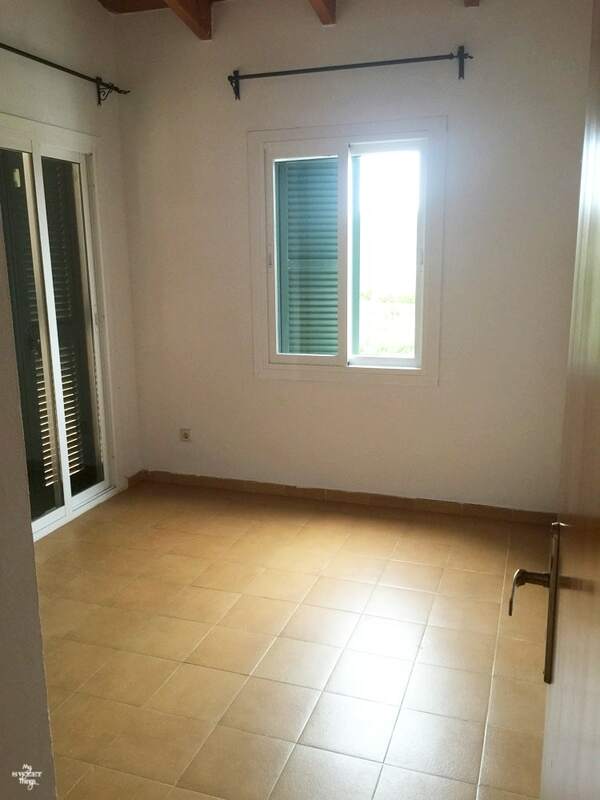 What a lovely room. What a nice room makeover. Those planter boxes look so nice with their new color! What a great idea! Perfect storage idea! What a clever idea! I love it. Great for all those random stuffed animals. What a great idea for creative wall storage. I’ve seen something similar done with rain gutters, too but I like this because they are big and sturdy! Good job. That’s so genius! They look super cute too! Amazing!